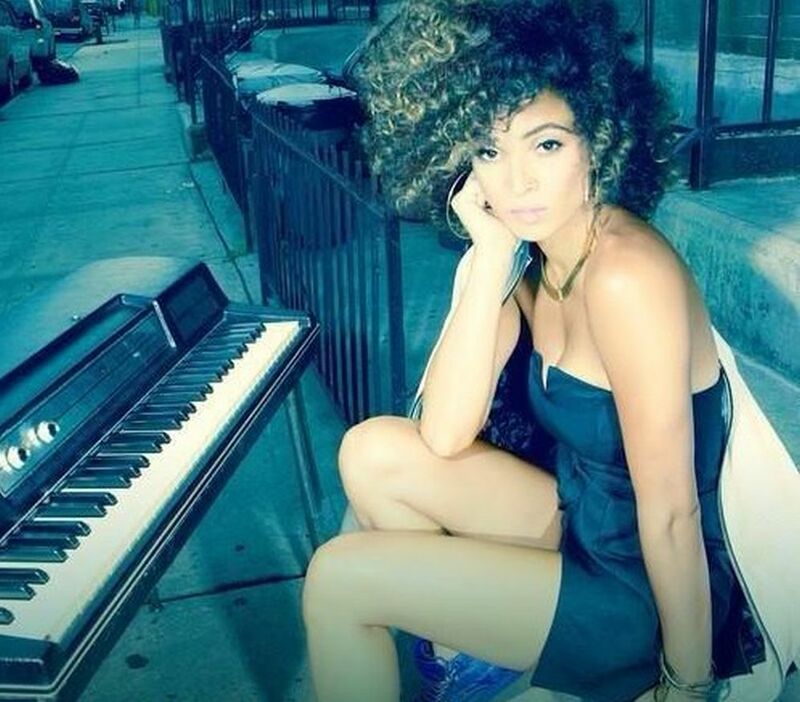 Kandace Springs has unveiled the artwork for her upcoming EP. The singer, songwriter and pianist is scheduled to release the self-titled mini-album on September 30 via SRP / Blue Note Records. The highly-anticipated project is executively produced by Evan Rogers and Carl Sturken, who also worked with Rihanna [SRP Records], Kelly Clarkson [RCA Records] and Christina Milian [Young Money Records]. Other musicians backing Springs on the EP are Warren Felder (Usher, Ariana Grande), Andrew Wansel (K. Michelle, Nicki Minaj), Steve Mostyn (Elle Varner, Jennifer Hudson) and Ronald Colson (Brandy, Mary J. Blige). Brandy has collaborated with Ronald “Flippa” Colson for her upcoming album. Colson is responsible for co-writing and producing “Good Kisser” by Usher [RCA Records], “West Coast” by Kandace Springs [Blue Note Records] and “Wonderful” by Mary J. Blige [Epic Records]. He also worked on the next projects Ty Dolla $ign [Atlantic Records], Elle Varner [RCA Records], Omarion [Warner Bros. Records], Nick Jonas [Island Records] and Kendrick Lamar [Interscope Records]. Meanwhile, the new studio collection by Brandy is expected to be released later this year. It serves as the follow-up to 2012’s “Two Eleven,” which peaked at number three on the US Billboard 200 Albums Chart. Other songwriters and producers that have contributed to the still-untitled LP are David “The Arcelious” Harris (K. Michelle, Gabi Wilson), Stacy Barthe (Marsha Ambrosius, Luke James) and Diane Warren (Adele, Kelly Rowland). In related news, Brandy will appear on Chris Brown’s upcoming studio album, “X,” out on September 16 via RCA Records. The pair teamed up on the track “Do Better,” which was produced by Glass John. Leona Lewis has worked with Jesse Shatkin for her upcoming album. Shatkin is responsible for co-writing and / or producing Sia’s “Chandelier” [RCA Records], Kylie Minogue’s “Kiss Me Once” [Parlophone Records] and Brooke Candy’s “Godzillionaire” [Monkey Puzzle Records]. His resume also includes works for Cheryl Cole [Polydor Records], Kelly Clarkson [RCA Records], Selena Gomez [Hollywood Records], Rita Ora [Columbia Records] and Lily Allen [Parlophone Records]. Been holding onto the highs of this week. Adored working with @jesse_belief although I'm thinking about kidnapping his dog Joey! Meanwhile, the new studio collection by Lewis is expected to be released later this year via Universal Music Group / Island Records. Other musicians backing the “Bleeding Love” star on the highly-anticipated LP are Jon Levine (Little Mix, Fefe Dobson), Autumn Rowe (The Saturdays, Nicole Scherzinger) and Stephan Moccio (Celine Dion, Miley Cyrus). Watch the music video for “Happy” below. 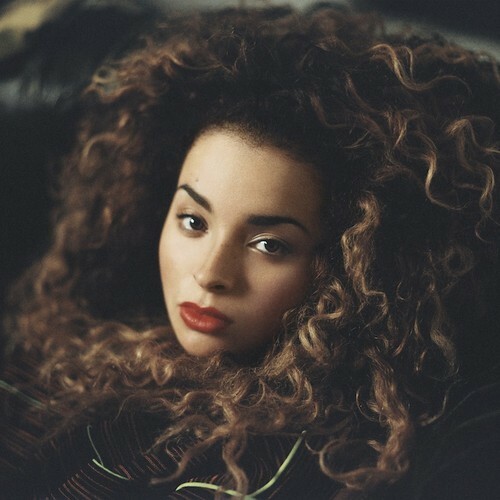 Ella Eyre has debuted a new song online. The British singer/songwriter – born Ella Mary McMahon – posted an exclusive stripped back acoustic performance of “Home” to her official Vevo page on Thursday (August 28, 2014). The track was written by Eyre along with Matthew Marston, Daniel Radclyffe and Paddy Byrne, who is also responsible for Sinead Harnett’s “Paradise” [Virgin EMI Records] and Paloma Faith’s “Stone Cold Sober” [RCA Records]. As previously reported, current single “Comeback” will be available for download from September 29 via iTunes and all other digital outlets. Eyre’s highly-anticipated debut studio collection is expected to hit stores later this year via Universal Music Group / Virgin EMI Records. Album contributors include Two Inch Punch (Jessie Ware, Lianne La Havas), Chris Loco (Laura Welsh, Cheryl Cole), Jarrad Rogers (Rebecca Ferguson, Demi Lovato) and Richard Stannard (Chloe Howl, Lana Del Rey). Watch the live performance of “Home” below. 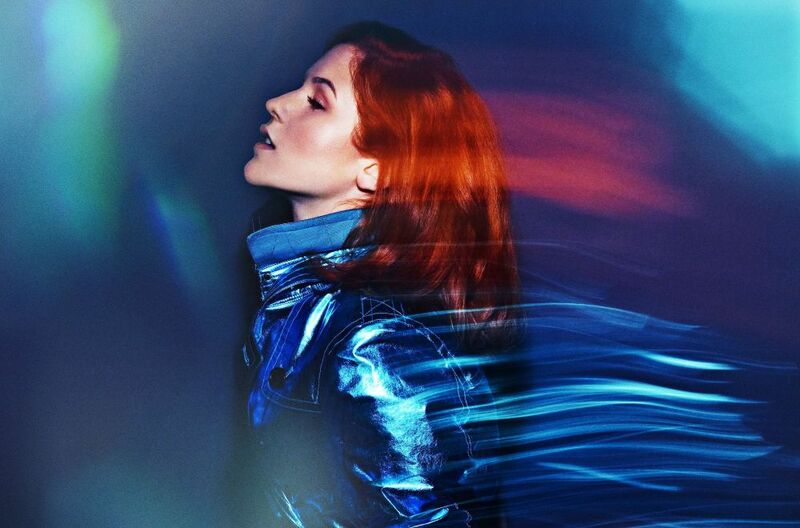 Katy B has recently recorded new material with Craig David. There’s been no word on what the pair worked on last night, or whether the session was intended for a future Katy B release or David’s upcoming LP. The “Fill Me In” star is expected to release his highly-anticipated sixth studio collection later this year. The still-untitled project will include productions and songwriting contributions from Lindy Robbins and Toby Gad. In addition, she will appear on Gorgon City’s debut album, “Sirens,” out on October 7 via Virgin EMI Records. Katy wrote “Lover Like You” with Jonny Coffer along with group members Kye Gibbon and Matthew Robson-Scott. Watch the music video for Craig David’s “Insomnia” below. 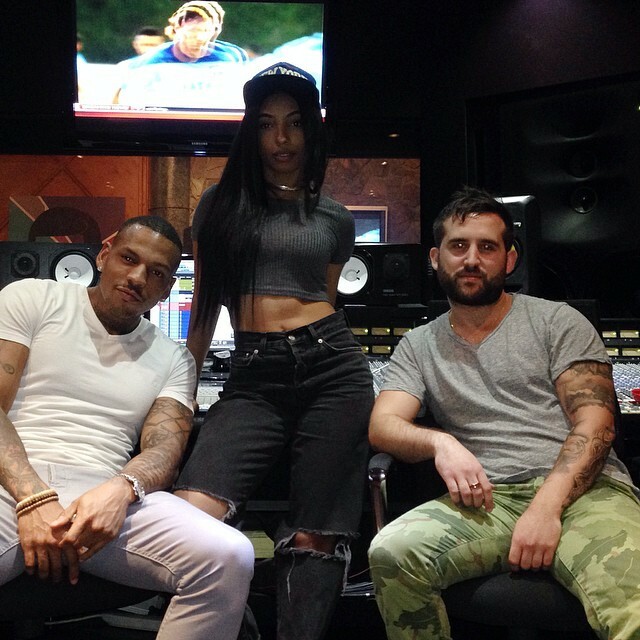 Wynter Gordon has recently recorded new material with The Runners. It is yet to be known whether last night’s session was intended for another artist or Gordon’s upcoming sophomore album. The Runners consist of songwriters and record producers Andrew “Dru Brett” Harr and Jermaine “Mayne Zayne” Jackson. Their resume includes works for Keyshia Cole (“Didn’t I Tell You”), Chris Brown (“Biggest Fan”), Cher Lloyd (“Swagger Jagger”), Kelly Rowland (“All of the Night”) and Nicole Scherzinger (“Tomorrow Never Dies”). Meanwhile, Gordon previously co-wrote songs for other artists such as “Livin’ it Up” by Ciara [Epic Records], “2 of You” by Danity Kane [Bad Boy / Atlantic Records] and “Gonna Breakthrough” by Mary J. Blige [Geffen Records]. Jessie J has confirmed the details for her new single. The British singer/songwriter – born Jessica Cornish – dubbed “Burnin’ Up” as the second promotional single from her sophomore album, “Sweet Talker,” out on October 13 via Lava Records / Republic Records. The 2 Chainz-assisted track was co-written and produced by Max Martin, who is also responsible for Ariana Grande’s “Problem” [Republic], Jennifer Lopez’s “First Love” [Capitol] and Taylor Swift’s “Shake it Off” [Big Machine]. Fans can expect the music video for “Burnin’ Up” soon. It was recently shot by Hannah Lux Davis, whose credits include Lea Michele’s “On My Way” [Columbia], Tinashe’s “2 On” f/ Schoolboy Q [RCA]. Among the musicians backing Jessie J on the highly-anticipated LP are Tricky Stewart (Beyoncé, Nicole Scherzinger), Steve Mac (Ella Henderson, Leona Lewis), Jonas Jeberg (Ameriie, Nicki Minaj) and Diplo (Usher, Katy Perry).